"Real outlaw country from a real outlaw ... (the songs) are short stories riddled with psychic carnage. There are love doxologies and gin-soaked lamentations cloaked in gorgeous arrangements and a forlorn stardust wail. Think Bonnie Raitt with a backstory closer to Boosie." "Listen to the music of Jaime Wyatt and you'll hear a lot of things. There’s the twang of Buck Owens, mixed with the freewheeling sounds of the Byrds or Rick Nelson’s later Decca recordings. Sprinkle in a dash of the eternal cool factor of Linda Ronstadt and you’re very close to the unique musical stylings of Felony Blues ... can be summed up in one word: real." 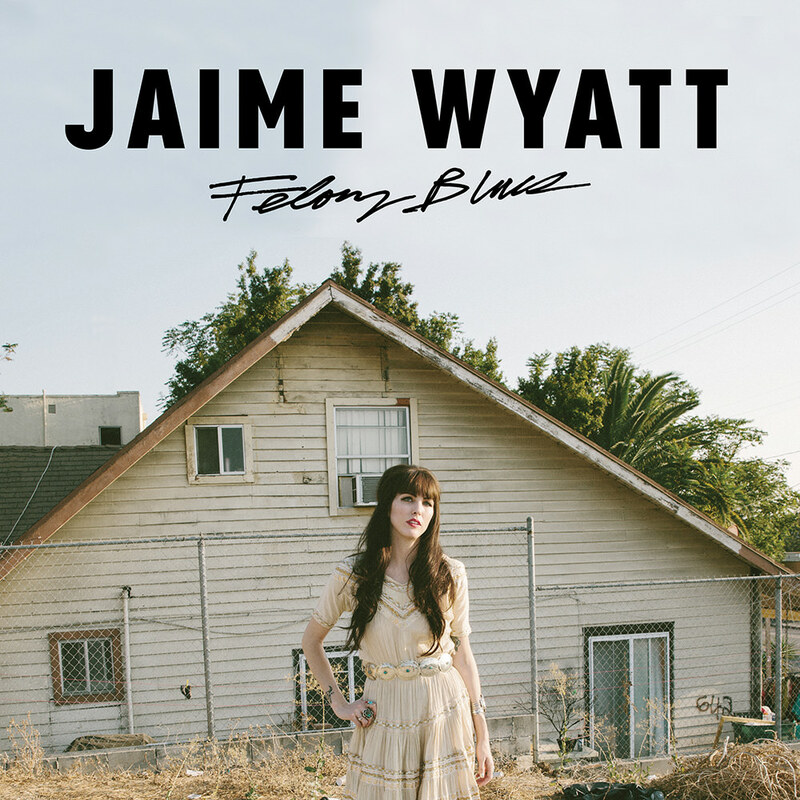 The title of Jaime Wyatt’s album Felony Blues is a nod to predecessors such as David Allan Coe’s Penitentiary Blues and is chock-full of prison songs and honky tonk laments. A striking figure with an old soul and a voice like a force of nature, it's Wyatt’s punk rock attitude that sets her apart. Regardless of genre, she is a dynamic performer who sails naturally between vintage '60s and '70s country/rock ’n’ soul anthems and heartfelt country ballads of love and corruption. With the exception of a cover of Merle Haggard’s classic Misery and Gin, the songs on Felony Blues are all Wyatt's, many inspired by an eight month stint in jail. "I’m a perfectionist and wrote a lot of version of these songs to find the right ones."